Please contact us at 877.653.4732. 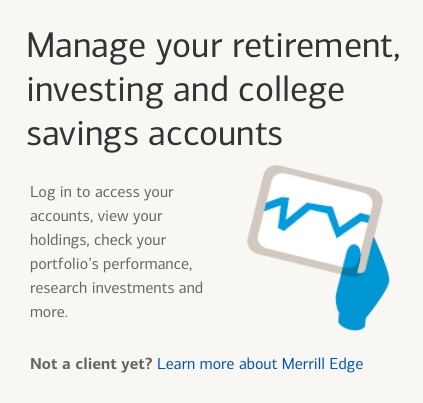 Merrill Edge® available through Merrill Lynch, Pierce, Fenner & Smith Incorporated ("MLPF&S"), consists of Merrill Edge Advisory Center (investment guidance) or self-directed online investing. Bank of America, N.A, U.S Trust Company of Delaware, Merrill Lynch Life Agency Inc. and MLPF&S, a registered broker-dealer and Member Go to another website and learn about Securities Investor Protection Corporation (SIPC) popup , are wholly owned subsidiaries of Bank of America Corporation ("BofA Corp.").